And below is a bar of illustrations from a book I have, rough work for my comic book, two contributed by Arliamay in Australia, two ink sketches of mine, and from Lady Branwen's comic book! I'm sorry for the lack of Wuthering Heights fun but I don't have permission to post what I have come across. Please respect the artists and do not save, copy, or repost these images without permission. It seems fitting that today's post should be about this little project of mine. It was begun nearly one year ago. 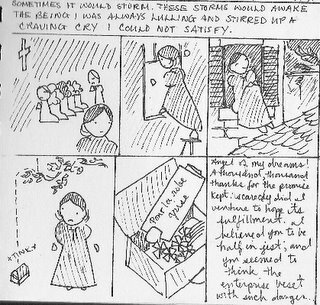 It is the second work of the Brontes that I have attempted to illustrate in this way- the first was Jane Eyre which is complete. 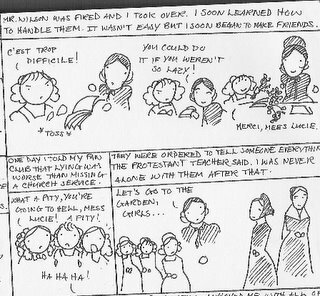 The Jane Eyre comic book was only published once online but has since disappeared after I became aware of how easily it could be pirated. 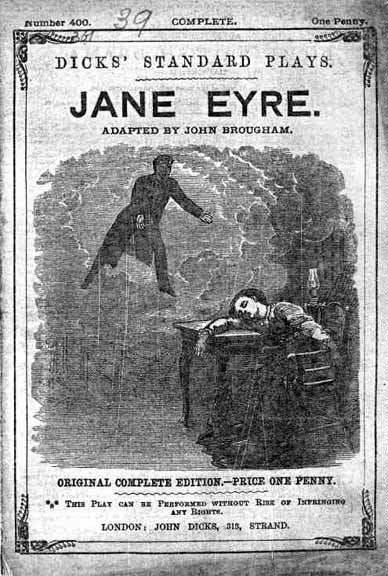 Jane Eyre has been used as the subject for many comic books. I have a few of these, all are of questionable quality- one features a likeness of Mr Rochester which I swear is the Grinch who stole Christmas- only less green. Another has the novel packed with beautiful people, and Jane appears to fly at one point (my favourite part). In the frame directly following 'the voice across the moors' she cries "I'm coming!" as she leaps into the air, Wonderwoman-like, her blond hair waving in the wind and her blue super-Jane cape streaming behind her! I will have to scan this, for I don't think my words do it justice… In any case, I have not been able to find a comic book of Villette. It is possible that mine is the first but rather unlikely. If anyone has heard of another, please drop me a line either in the comments or send me an email at bronteana.blogATgmailDOTcom! 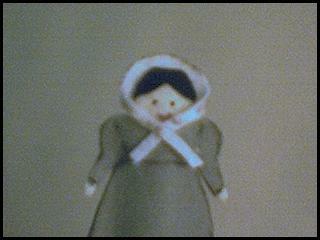 I intend to try publishing these as one book, once I have finished illustrating all of the Bronte novels. 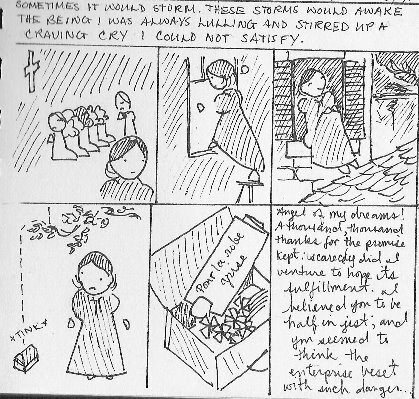 I began Jane Eyre on a whim late one night when I was tired and silly after studying for too long again. It was posted for my close friends but soon drew the attention of others. 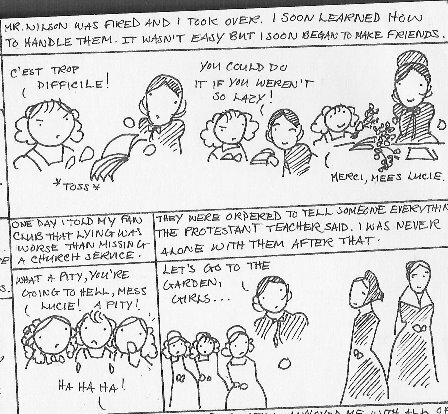 Someone suggested that I offer it to the Bronte Society but it is far too long for publication there, I think. Villette has been far less popular although those who do follow it are very enthusiastic (and cheer on their favourites, mostly Monsieur Paul and… Alfred deHamal! But only because he looks very cute as a line drawing- lots of snarky vows of admiration worthy of Miss Snowe herself). So far my reward is in forcing my friends to go out and read more of the Bronte novels. One of these had refused to try them, thinking they would be 'Victorian and dull' but after getting about a third into the Jane Eyre comic book, I recieved the instant message that it was 'all my fault' that she had gone to the library and is now completely conquered. I have complained long about how little known the Brontes are where I live. And it is nice to know that, even in my limited capacity, I am doing my part in changing things. who gave Zeus thunder and made the lightning-bolt. 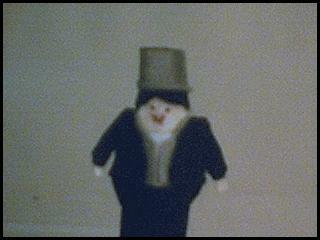 As usual, very interesting stuff on the wire and at BronteBlog including another DVD release of Wuthering Heights! 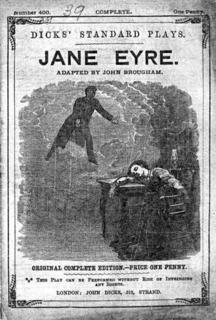 I'm not sure how widely known this is, but in my circle it has been much talked of… We expect that the BBC production of Jane Eyre, the beloved version with Sorcha Cusack and Michael Jayston, will be released sometime next year. Alisa from L.E.R.O. first got wind of this after emailing Eureka Video. However, there has been much confusion on this. Even though the news has been verified independently, Eureka and the BBC can't seem to decide who is actuallying releasing it–the BBC say Eureka, Eureka says the BBC. So long as it can be in my hands sometime in the near future, I really do not care. I'm one of the lucky ones. I didn't know about it until this year and I was able to get a recording made from someone's 30 year old copies (thank God for PBS and the CBC!). I have not had to wait 30 years like quite a few fans I know. I know that from the news on BronteBlog it looks like new adaptations are not forthcoming but I can't say that I agree. The trend seems to be that a Bronte film is made at least once a decade. I believe there has only been one decade or so when this didn't hold true, and in many cases there are a lot of films made in that space of time. Our last one was 1997 I think… I someone has written a screenplay of Villette! Ah! Now wouldn't that be tremendous?! [apparently it had been done by the BBC but I haven't yet been able to find out if copies of it still exist or if it has been lost]. I also have an idea. I'm considering posting some of illustrations I've been hoarding over the past year. I collect antique books, and illustrated copies of Jane Eyre. I have quite a few, but friends have simply… piled them on me. I cannot keep up! I have books still to scan (I'm an obsessive compiler, I think ;). I had intended this to be an illustrated blog (see Mr. Bulwer-Lytton in Petticoats below) but I don't often have the energy to make a sketch a day on top of everything else. Anyone horrified at the idea? Here's a random picture–the cover of the 1857 play.